Here are the unadulterated tasting notes on the wines of St Emilion for properties A-F. For more detailed profiles on each of the chateaux, click on the individual links in this section. For overviews on the other regions of Bordeaux click on the following links: Haut-Médoc, St Estèphe, Pauillac, St Julien, Margaux, Moulis and Listrac and Pessac-Léognan. For raw tasting notes other communes going click on the following: Haut-Médoc, St Estèphe, Pauillac, St Julien, Moulis & Listrac, Margaux, Pessac-Léognan and Pomerol. 2010 Very deep and saturated looking; inky and intense; sublimated style; wet rocks too; palate little closed and subdued; wet rocks; obvious weight and scale; spicy finish; extract and matter but not that expressive on the day. Was all exotic richness during primeurs. Needs five years? Drink 2020-2035. 93+ MW Institute Nov ’14 [Earlier note] Rich and deep looking; lovely seductive nose; real quality, some smoke and savoury notes; layered and intense; terrific; palate wonderful; fabulous concentration; extract, sweetness and perfume here; really terrific. Very clean and well done. One of the real standouts. Brilliant. Very sublimated, intense. 98/100 Tasted April 6 Groupement de Premiers Grands Crus Classes de Saint-Emilion. 2006 Very deep and extracted; very tight and dense to the edge; dense nose with minerals and tar, feels very strong but I’m not sure I’ve the stomach for this – palate actually more silky than I’d expected given the density and extract here. Still feels like it’s a wine on steroids though. Not a huge amount of joy at present. I’ll leave it to James Bond. 88-90?/100 MW Institute Nov ’10. 2010 Quite big looking in the glass; some red at edge; thick and VA lift on the nose; figgy; thick and ripe sweet palate with lots of extract. Not much life for me. Feels tired. 86 [Earlier] Deep and dark, some chocolate on the nose but feels tired and oxidised; good depth and chew but too much extraction and plodding heavy palate 84-86?/100 6th April at UGC. 2010 Deep and thick in the glass; slightly stewed note here to begin with; not as polished and outwardly as fine as the rest; later opened up, smoke and blackfruits, some liquorice; menthol, like this very much also with oak from barrels; freshness initially on the palate; then intensity, grip, cool and well handled palate; real precision again, density and layers and layers; lots of chew and depth; good length. 93-95+/100. Tasted April 6 Groupement de Premiers Grands Crus Classes de Saint-Emilion. 2010 Deep and saturated; resin and molasses; liquorice and wet chalk; ripe and full on the palate with black fruits and spices; chalky note again; plenty of matter and grit with coffee and mocha notes on the finish. Drink 2016-2030. 92+ MW Institute Nov ’14 [Earlier note] Very dense and saturated looking; chalky note; some lift; lacks freshness; not developing that well – had much better memories at primeurs; liquorice and fig; feels thick and overdone to me. 88? UGC Oct ’12 [Earlier] Deep and saturated; ripe, rich nose; perfume and jam with nice lift; quite satiny with real density and extract; Very chewy and dense. Thick and rich and lots of black fruits here, some liquorice. Very strong wine. 94-96+/100 6th April 2011 [Second] Deep and saturated; rich, ripe and very seductive; feels quite big; slightly jammy note; certainly very ripe style; thick and rich on the palate, concentrated and dense with tannin and grip and extract; wow, feels very dense, lots of extract and material; very big chewy wine. 94-96/100. 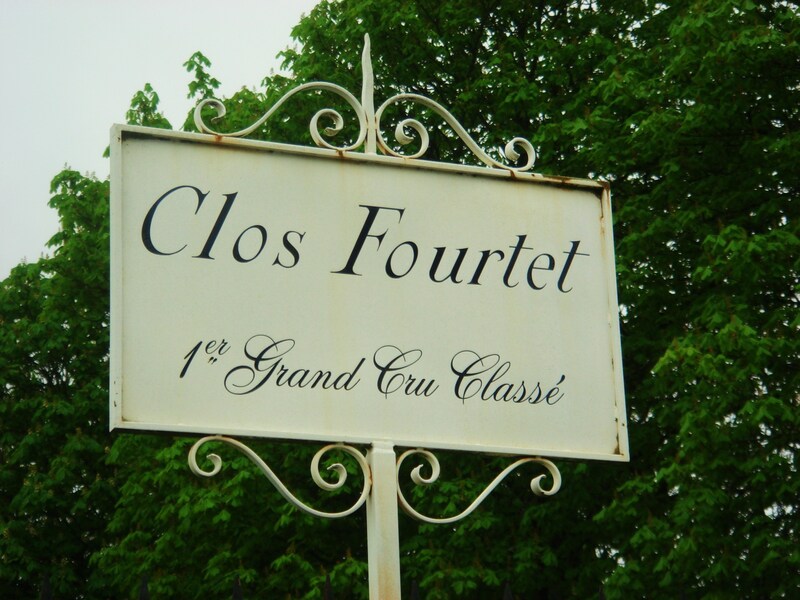 Tasted April 6 Groupement de Premiers Grands Crus Classes de Saint-Emilion. 2006 Dense colour, some chocolate and chewy fruir here, little fresher and less tarry in character than some of the other ‘top’ St Emilions here; mid depth on the palate with freshness and clarity, but then come the tannins again. So much tannin on this table of St Emilions…. 88? MW Institute Nov ‘10. 2010 Deep; fresh and vibrant aromatics with black cherry and spicy plum notes; very attractive and vivid; spicy menthol tones too; plum and cherry tones continue on the palate in a seam of fruit; very mannered and fresh feeling; some dust, spice and minerality on the finish. Impressive length too. Drink 2016-2030. 95 MW Institute Nov ’14 [Earlier note] Deep and saturated; ripe, liquorice, tar note; slightly burnt edge; layered; some menthol, very tight and layered; later some perfume, almost floral; fresh; density but fine extraction wonderfully handled. Great density and weight, very good length. Some heat on the finish but also grip here. 94-96/100. Tasted April 6 Groupement de Premiers Grands Crus Classes de Saint-Emilion. 2010 Dense and dark looking; little chalky note at first; then more lifted on aeration with red fruits and spices; some resin; layered; palate fine and tightly packed with fruit; mocha and red fruit tones; little dry and tannic on the finish. Needs some time. Weighty [15 degrees]. Drink 2018-2030. 93+ MW Institute Nov ’14 [Earlier note] Deep and dense; some chalk, red fruits and some depth; ripe and with lots of extract; deep; big but pure; some grip and texture and extract; not overly tannic, but ripe tannin not too pushed. Promising effort, pretty structured overall but plenty of fruit here and a pure style; not over-played. 92+ [Earlier] Deep and saturated, tight to rim; rich and ripe on nose, shows real concentration; unctuousness; relatively simple by comparison with previous [Trottevielle] but very pure; real purity in fact; quite a lot of puppy fat here; real ripeness; lacks some of the complexity of the last but lots of fruit and density; feels alcoholic; some length, bit hot. 91-93/100 Tasted April 6 Groupement de Premiers Grands Crus Classes de Saint-Emilion. 2009 Deep colour and tight to the rim; inky and intense; stones and wet-rocks; ripe and rich with lots of saturation but remains clean and pure. Very long and classical. Lots of material tightly coiled and needs time. Drink 2019-2035 93+ MW Institute Nov ’13 [Earlier note] Mid red; quite thick looking; creamy, mineral nose; fine; chew and density on the palate; minerality again; dense; crushed rocks; ripeness too, figs, but still sinewy and dense; held in cheque; muscular certainly but no trace of jam here. Serious and [deliberately] not flamboyant, nevertheless this is a very fine effort. 93-94/100 UGC Oct ’11 [Earlier] Dense to rim; very intense and layered nose; pent up but with real intensity; concentrated, serious and not showy. Palate similar; intense, serious with good concentration and intensity; tannic and structure here. Will fill out. Serious and quite long haul here. [Later] Attractive creamy note; palate fine; structured and very well done. 92-94+/100 UGC March ’10. 2014 Deep and saturated colour; lovely fat seam of fruit; bold, dense and concentrated; some chocolate; glossy ripe entry once again; this is polished and creamy St Emilion; wonderful texture to the palate; very harmonious; good concentration on the finish. Very good length. Palate very impressive. Very good wine indeed. [55% Merlot, 37% Cabernet Franc, 8% Cabernet Sauvignon. 13.5% alc, 24 hl/ha, 70% new oak, harvested 25/9-09/10]. Tasted Canon-la-Gaffelière 1st April ’15. Drink 2020-2030. 92-94+ [second note at UGC] Deep and saturated look; very deep core; ripe; glossy and polished; voluptuous on the nose; black cherry; some spice; velvety palate; plenty of extract and chew but structured nicely; some grip; nice fruit and texture overall. Mineral and wet rock tones too. Substantial and long St Emilion. [55% Merlot, 37% Cabernet Franc, 8% Cabernet Sauvignon, 13.5%, 24 hl/ha, picked 25/9-9/10]. Drink 2019-2035. 5. Tasted UGC 1st April ’15. 92-94. 2006 Deep and arterial; super ripe strawberry and red fruits and oak; very sublimated and concentrated feel; a silky quality to the palate and a lot of fruit. This is a more open style than the Pavie stable and the palate feels a lot better for it. Still not quite me but this is much better balanced than many here. 90-92+/100 MW INstitute Nov ‘10. Château Cap de Mourlin, St Emilion Grand Cru Classé. 2009 Mid depth, dark at core; very attractive nose – real fine Bordeaux here – enticing aromatics – blackcurrants, undergrowth, leaf and floral tones; perfect Cab Franc with its delicate, leafy and harmonious tones along with roses, floral tones and plummy spice from the Merlot; spicy and layered on the palate with blackcurrants and really fine Cabernet tones; lots of depth and nice grip to this wine which has wonderful tension which makes it more-ish Bordeaux. Extremely harmonious. Perfect surely? Drink now – 2040. 100 MW Institute Nov ’13. 2010 Deep and dark; slightly stewed aromatics; stalky red fruits behind; ripe and clean fruit tones on the palate; not that bad if straightforward; stalky red fruit tones and some chew. Drink 2015-2025. 89+ MW Institute Nov ’14. 2014 Mid depth; soft, satiny red fruits; toasty oak; ripe strawberries; plums; toast again; fruit and oak at present; little disjointed; lots of wood to integrate with the fruit; little submerged presently; extracted and bit dry on finish. Needs to settle and possibly a bit over-cooked. [75% Merlot, 20% Cabernet Sauvignon, 5% Cabernet Franc]. Drink 2019-2028. 5. Tasted UGC 1st April ’15. 85-87? 2015 Deep; ripe fruit; little one-dimensional; nice fruit nevertheless; satin and spice; easy and soft; not much to this; early drinking offering. Rather too much coffee and oak on the finish currently. [85% Merlot, 10% Cabernet Franc, 5% Cabernet Sauvignon, 5ha]. Drink 2019-2023 84-86. 2014 Deep and saturated look; black at centre; melded nose; fat with full aspects; spices and menthol; ripe; thick and extracted palate but not too overdone; chewy finish. I think this has been overdone. Chewy and extracted finish. Tasted Angélus 29 March 2015. Drink 2018-2025. 84-86? 2014 Deep and saturated look; fruitcake tones; spicy plum and prune; very ripe; liquorice; glossy entry; oak on the palate; very hard in the middle currently; lots of chewy extract and guts but feeling very raw and extracted at present. See how it settles. Extracted and oaked style certainly. [90% Merlot, 10% Cabernet Franc, 13.5% alc, 50% new oak]. Drink 2019-2028. 5. Tasted UGC 1st April ’15. 84-87?